The business landscape provides an arena of ups and downs. There are many factors contributing to the success or failure of any business. For some, a business is seen to be struggling when assets are sold out in order to pay off the debt. Office furniture liquidation oftentimes is a solution used by businesses during a bankruptcy proceeding where assets are disposed with a cost to pay the creditors. An organization can select a location which is favorable towards achieving its goals. When relocating to a new space, you might not be needing all the office furniture. The new workspace might not be able to accommodate the current office furniture in use. This way, you need to reach out to an expert office furniture liquidator to take control of the situation. When the management decide to renovate and change the look of the current workplace, office furniture are being liquidated. Part of the renovation planning is the acquisition of new office furniture. Oftentimes, office furniture installation are also done which gives the workspace a new and fresher look. Companies prefer office furniture liquidation than dumping used cubicles and other used office furniture away in a landfill. 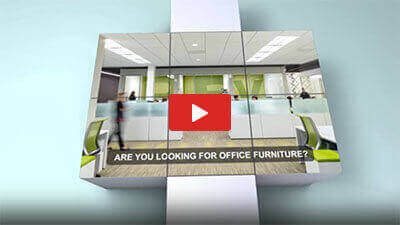 Companies which plan to employ new office furniture in the office will discard the old ones. Better than throwing away, you can contact a office liquidator to earn a fair price from used furniture. Now, the money gained from the cost of furniture liquidation can be added up in purchasing new sets of office furniture. When an organization plan to relocate, liquidating office furniture is found to be cost-effective. It is economical to leave everything the way they are and ask a liquidator to fill the gap while you move to a new workspace and purchase new furnishings. Paying for hauling the current office furniture is costly while the vulnerability of the furniture to breakage or damage is up stake. Convenience – listing all your office furniture for inventory and selling them one by one is a tough job. With the help of the liquidator, you just have to sit back and wait for your money to come. Simple – the process of selling your office furniture is difficult but through a liquidator that you can receive just price from your items. Liquidators are knowledgeable on the turnaround of buying and selling industry, so its easier for them to find a buyer who will pay a just cost on your furniture. When you have small items to liquidate, and will not seek the help of a liquidator, your company can hold an office furniture liquidation sale. The above article will make you understand that office furniture are not only liquidated if the business is seen to be struggling but also a great way for office renovation or relocation. Clear Choice Office Solutions is located in Houston, Texas. 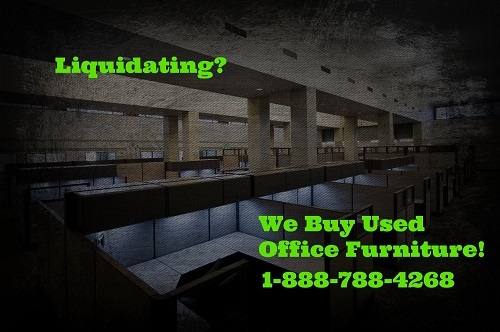 However, we offer office furniture liquidation services across the United States. We buy used office desks, used office cubicles, and other used office furniture from businesses of all sizes.